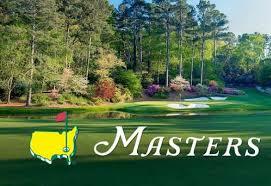 The Masters is the biggest tournament of the golfing tournament. Every year the best players in the world head to Augusta National to try to win the coveted green jacket that cements their place in the history of the game. This year, with Tiger Woods back in action, the tournament will be even bigger than normal all media outlets wanting to see how Tiger does back at The Masters. This year it’s really anyone’s tournament to win with so many of the top players playing well heading into Augusta. I have my favourite plays below, but I would not be surprised if any of the players with lower than 50/1 odds ended up winning the tourney. ***These odds will change leading up to the tournament, so check Bet365.com yourself for up to date odds. Jordan hasn’t been playing his best golf of late, but you cannot deny his success at The Masters over the past four years. He won in 2015, has two seconds and finished in 11th last year even though he played very poorly for parts of the tournament. If Spieth has success at the Match Play event I would not be surprised to see his odds jump up and him become the favourite in the week leading up to the tournament. My other favourite play is Justin Rose who lost to Sergio Garcia in a playoff last year. He also has a lot of success at Augusta with 3 top 5’s in his career and top 10’s in the last 3 years including a couple of second place finishes. Rose finished top 5 at both the recent Valspar Championship and Arnold Palmer Invitational, so he’s playing some quality golf and I think this could be the year he finally gets that green jacket. Patrick Reed has not had great success at the Masters in his four trips to the tournament, but when he’s on his game he’s one of the best in the world and he’s playing some very good golf of late having finished T2 at the Valspar Championship and then following that up with a T7 finish last week at the Arnold Palmer. I think this is a decent value play for a guy who can turn it up in the big moments. Some of the other players I like with odds outside of the 50/1 range include Patrick Cantlay at 75/1 and Adam Hadwin at 125/1. Check out all of the odds at Bet365.com.